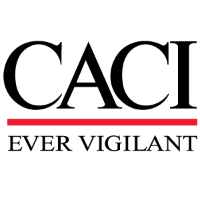 CACI is seeking a Hardware Exploitation Engineer (Mid-Level) to pursue a career supporting CACI’s growing Intelligence Services market. Supported by our newly developed job framework, CACI provides clearly defined career paths for employees to grow and progress within our company. Lead teams and take part in the analysis of embedded platform firmware and operating systems to discern security vulnerabilities associated with various platform communication links. Applying knowledge gained using reverse engineering and other research techniques, design and develop low level C and assembly applications for embedded ARM platforms that interface directly with platform hardware. Bachelor of Science degree in Computer Science, Software Engineering, Computer Engineering, Electronics Engineering, or Electrical Engineering and at least five (5) years of related experience. Preferred: Master of Science or PhD degree in Computer Science, Software Engineering, Computer Engineering, or Electrical Engineering and at least two (2) years of related experience. Working background with scripting Languages: shell, Perl, Python or the like. Expertise with Operating Systems: VxWorks, Integrity, Embedded Linux, JunOS, Linux, Unix, Windows Embedded. Experience with RTOS desired. Expertise in Hardware Tools and Debuggers: Green Hills Probe, SuperTrace Probe, Slingshot, spectrum analyzer, logic analyzer, JTAG, Agilent Technologies equipment. Working background in Software Tools and Debuggers: Wireshark, IDA Pro, OllyDbg, pcap, gdb, make, hex editor. Active TS/SCI clearance with CI polygraph. Preferred: Master of Science or PhD degree in Computer Science, Software Engineering, Computer Engineering, or Electrical Engineering and at least two (2) years of related experience.